Content that has been mistranslated brings a lack of confidence to the course. Students will think that the company offering the course is not a professional one and will not recommend it. Also, badly translated content is very unhelpful and confusing to the student, as they struggle to understand what is being discussed. I experienced this kind of problem once and I can tell you it was difficult to understand and keep up with the course. In the end, I didn’t feel I had learned enough and I didn’t want to proceed for the next module, I just searched for another course online. So that eLearning publisher lost my business. As an eLearning company, you should partner with a professional translation services company with experience in your industry to ensure you delivery fully translated and localized content to your users. 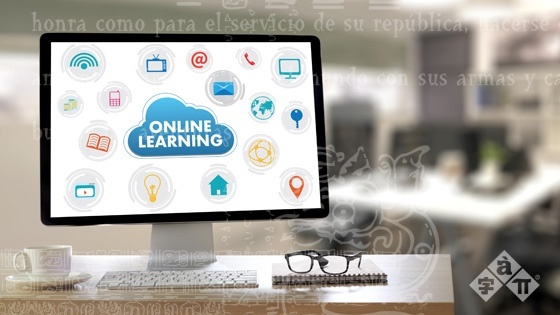 As a past student, I can say that the user experience that the eLearning platform provides the student is what makes them stay on the course, finish it, and even go back and request a new one. A platform that makes it difficult to navigate, upload assignments, or download content to your own computer, is very frustrating and increases the chances of a student leaving the course unfinished. A decrease in number of students is not good for business. So, ensure your platform is user friendly by fixing any issues reported by students quickly, have a person responsible for UX, and of course consider switching providers. I know that sometimes it is difficult to have all your content translated either because of a deadline that it is short, or financial constraints. But believe me, leaving the audio content in English instead of localizing the full video leaves the students frustrated, hampers learning and diminishes their overall user experience. As a company you can either localize the full video or leave it in English and translate the subtitles if money is a problem. I have been able to see both sides, as a student and as someone who has planned the development of an eLearning product. I know all the problems and difficulties that are involved in each side of the process. From my point of view, I think that online education has everything to become as important as the teaching in classrooms. And those companies who choose a great platform to host the courses, create very good content, and provide localized materials for global markets, will be the ones who deliver the best user experience and will get the best share of the market. Ready to localize? Avail of our free video script translation offer.